Training for puppies and advanced-level training for adult dogs. Help for dogs and cats who find certain situations overwhelming or show behaviour that makes life difficult for us and them. Know what to do in a doggy emergency. Training workshop accredited by the CPD Standards Office. Find out dates of my workshops and charity events. Sharing my experiences as an APDT-trained dog trainer and keeping you up to date with doggy-related matters. "Shell worked one to one with Bella and gave bespoke training sessions which met the needs of our beautiful girl. Shell also worked with the whole family at our house teaching us to teach our dog. She was very patient with both the family and Bella. When we didn’t get things or when things didn’t work for us she was able to make the necessary adjustments/changes to help us understand. We worked on games which improved bella’s concentration skills." "Harley was a very nervous dog. Shell has trained her to be confident in crowds, also recall. Harley seems to know when Shell is coming as she sits looking out of the window. You can see Shell is passionate about what she does and how the dogs love being with her." 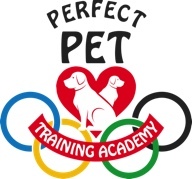 This is a 12 week plan involving one-to-one training where I will walk your dog for you and train at the same time. Plans can include Pet Therapy where required. I will provide training and advice to help you continue the training yourself inbetween sessions and afterwards. The plan includes Skype calling 8am-8pm for any issues while you are training at home.